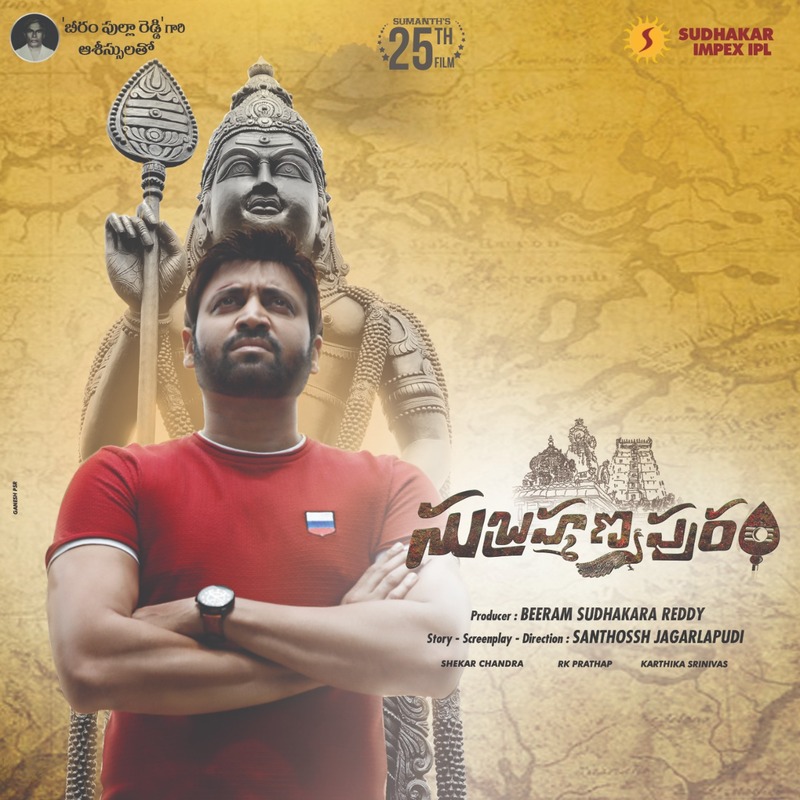 Subrahmanyapuram (2018) karthik ( Sumanth ) is an atheist , but by profession does research on ancient temples. Karthik visits an ancient subramanya swami temple located in a village named Subramanyapuram. By the time Karthik enters, the villagers are traumatized with a series of suicides. Police, village head and villagers believe it is God’s wrath on them for their wrong deeds, and take no action. Karthik suspects some foul play and starts investigating the suicides. Rest of the film is about how Karthik finds the root cause, how he fights it out!. subrahmanyapuram ,movie is a typical thriller was back ,sumanth 25th movie ,he will done his best and a copy of karthikeya some scenes like that ,but movie wil predict well ,director shown intensity and thiller way on movie screenplay makes movie to watch ,ending was good and how ever its an nice movie. sumanth was rock again with his attitude ,subrahmanyapuram was epic action and suspense thriller story,in a village some mysterys happend people are killed in that village and there a temple subrahmanyam swamy temple had some mysterys and in all these ,sumanth wan to know what happend there in that temple ,so he challnge the god and he want to solve sciense can solve all ,suspese ended nice and good screen play ,go and watch with family . SUBRAHMANYAPURAM ,a suspense thirller movie ,sumanth was back to screen ,with this suspense he acted in his character and attitude was good ,essha rebba was join together on screen to see,music and beezem also good to see over all its an action suspense thriller . santosh jagarlapudi ,creative director ,he written well this like thriller suspenses ,and sumanth was back with this movie ,past movies are dissapointed for him ,so he need a good hit,so SUBRAHMANYAPURAM ,was the platfrom to see ,so this type movies audience are liked well ,so movie get good sucess hoping to watch interesting way ,so wait and watch on big screen . Subrahmanyapuram’ Is Predictable Thriller And Is Exact Copy Of ‘Karthikeya’. Though It Has Some..
On The Whole, Subrahmanyapuram Is A Passable Mystery Thriller Which Has Some Decent Thrills. However, The.. The Film Is Targeted On The Rural Audiences As The Content Presented In The Movie Hardly Makes Any Impression..
As Finally The Protagonist Unravels The Mystery. Though The Film Begins On A Promising Note, The Pace Is A..
Subramanyapuram Design And Execution Is Aimed At The Rural Audience, Second Half May Partially Appeal To The..